Special thanks to the National Legal Aid and Defender Association for inviting us to give a webinar to their members and the larger legal community this Thursday on May 8th at 11am PST. We will be sharing the concept, discussion specific case examples, the production process, and how the videos were used to secure sought after case resolutions. Below is more info, and click here to find out how to sign up in advance! The Albert Cobarrubias Justice Project (ACJP), a media and community advocacy project, will give a webinar on how public defenders can create “social biography videos” to humanize clients for purposes of impacting sentencing, plea-negotiations, and more. The webinar will discuss specific case examples, the production process, and how the videos were used to secure sought after case resolutions. Technology has become cheaper, more accessible, and has created new avenues for client’s stories to be shared in the court system. The webinar will share how defender offices can produce social biography videos using limited resources, and how staff without any previous experience can be trained quickly to create effective videos. Presenter: The project director, Raj Jayadev, is the coordinator of ACJP, a community organizing model for families and communities to partner with public defenders to impact court cases. ACJP is housed at Silicon Valley De-Bug. Jayadev developed the project as a Soros Justice Fellow, and he and his staff have been creating social biography videos for public defenders for a number of years to great success. The videos have resulted in securing favorable plea negotiations, lowered sentences, even post-conviction relief. De-Bug and ACJP was profiled on KQED’s Forum show last Friday as part of their series on Bay Area leader and innovators. Raj was allowed to share the story of De-Bug, why families are the untapped resource in the criminal justice reform movement, and a new innovation that is changing sentence mitigation called “social biography videos.” Click the image to listen! Society of Professional Journalists Honors De-Bug with the 2013 Silver Heart Award! Click image to go to new blog chronicling the stories behind the “Time Saved” due to family and community organizing. 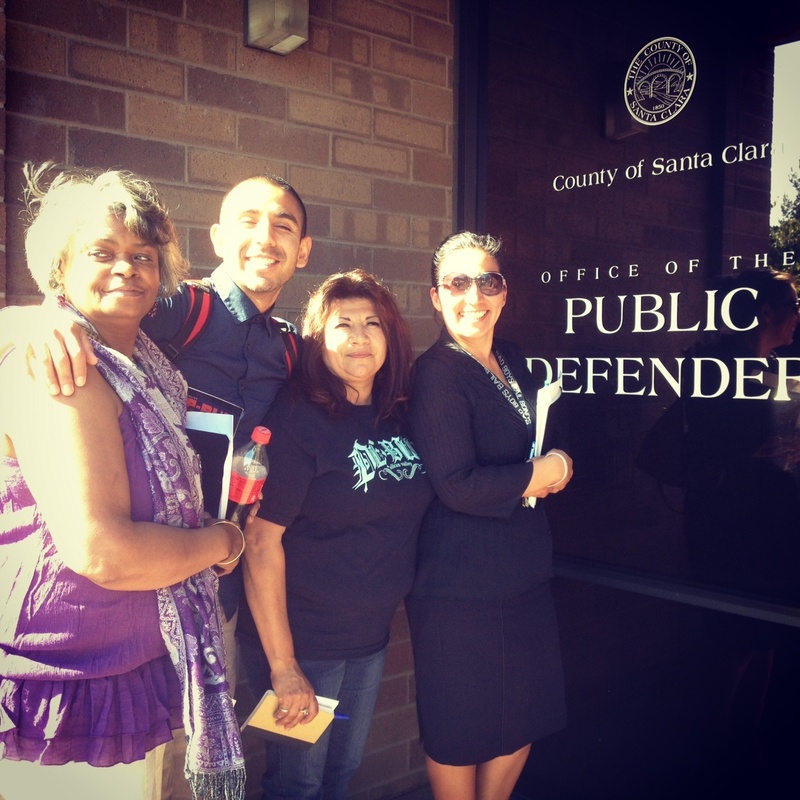 Last week the Albert Cobarrubias Justice squad presented to the attorneys of the juvenile division of the Santa Clara County Public Defender’s Office. We were invited to share our experiences, perspectives, and our model of how families can play a role in partnering with defense attorneys to protect youth from the system. It was a very productive sit down as we brought some of our leading organizers who first got introduced to the system through witnessing their own children face the courts. Their is nothing more insightful than a mother’s observations. We also shared the video, made by Cesar Flores, that was used by a defense attorney earlier this year to further her point that her client was being over-charged. The young man was able to resolve his case without jail or prison time, as well as preserving his relief for immigration court. We look forward to continuing our partnering efforts to keep youth out of the system! We had a powerful meeting this Sunday at ACJP, where three families all successfully resolved their cases through mutual support. They didn’t know each other a month ago, but will be forever united in their life stories. They live in different counties, even speak different languages at home.These images are a part of ACJP‘s “Time Saved” Series, documenting the stories, and amount of time saved from incarceration, due to community intervention in court cases. Submission and Photos by Charisse Domingo.